The Avmor Save-Chem open container dispensing system is built to make cleaning easier and more effective. The versatility and functionality of the Avmor Save-Chem make this the next generation in portable dispensing systems. - Larger Format (3.78L) allows for over 50% Savings to the Customer! 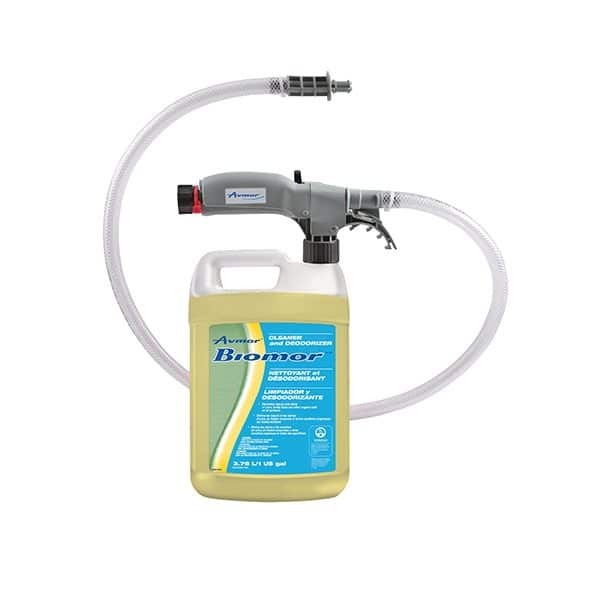 - Practical and Ergonomic Sprayer - No Single Arm Lifting. Product is held at arms length by your side. - Dispenser is pre-tipped at 1:10 for rich and 1:32 for lean dilutions. - Kit includes additional tips for use with other products and applications. 1. Put on protective gear and attach Avmor Save-Chem Dispenser to spray applicator. 2. On other end, attach spray applicator to the trigger sprayer. 3. Insert draw tube underneath cap. 4. Place draw tube into product. 5. Twist cap into bottle. 6. 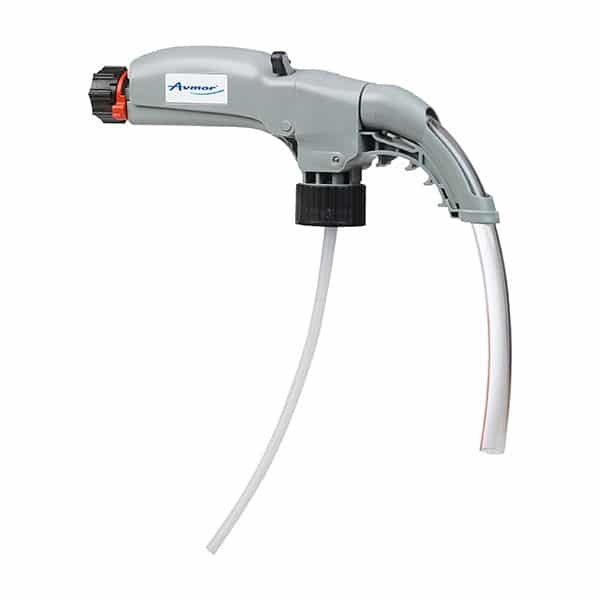 Connect hose to dispenser on one end and to the water line on the other end. 7. The switch on the left is for 1:10 dilution. Switching to the right is 1:32. Both are at the same flow rate (2.8 gpm). 9. Hold the dispenser with one hand and the vaporizer tube with the other. 10. Turn on water. Simply spray & walk away!